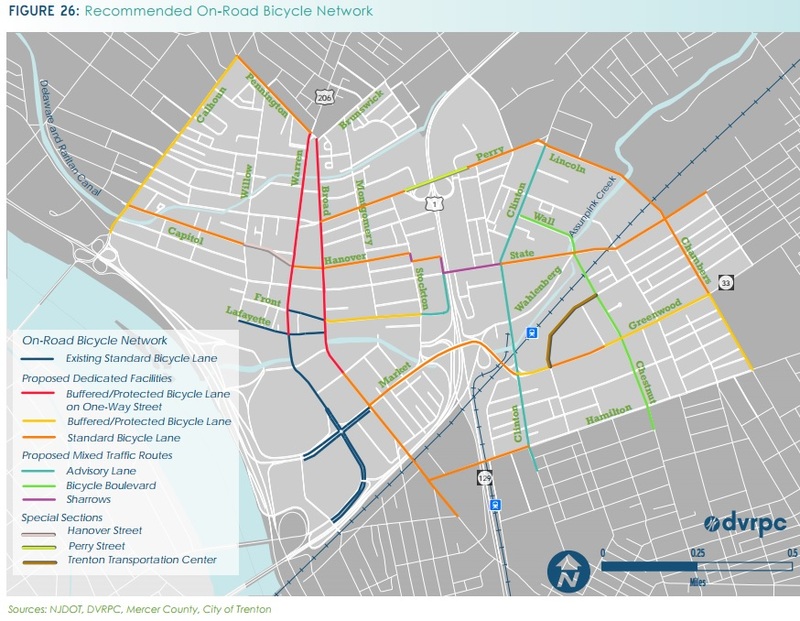 The Delaware Valley Regional Planning Commission has published the Downtown Trenton Bicycle and Pedestrian Plan in collaboration with the City of Trenton. The plan is intended to guide and influence bikeway policies, programs, and development standards. 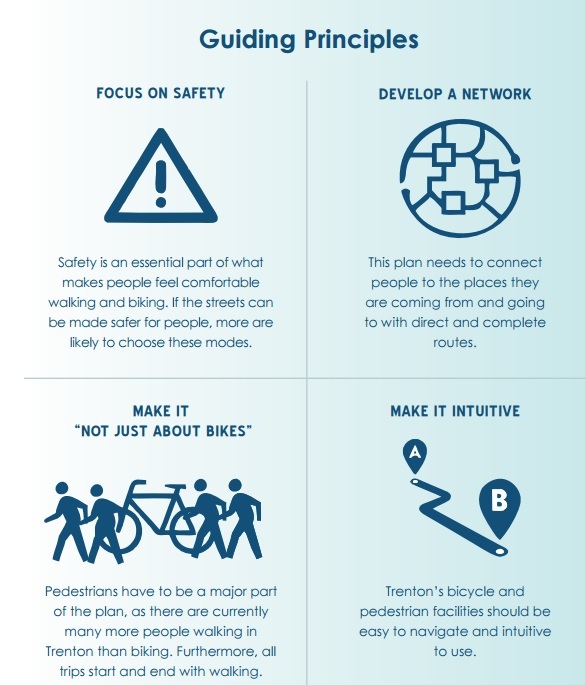 The goal is to make bicycling in downtown Trenton safer, more comfortable, convenient, and enjoyable for all bicyclists. The ultimate goal of this plan is to increase the number of persons in Trenton who bicycle to work, to school, for errands, and for recreation. This plan was developed to complement the Trenton Transportation Master Plan (2004/2005), the Trenton Station Linkage Plan (2006), New Jersey’s Long-Range Transportation Plan: Urban Supplement Report, City Of Trenton (2008), Living Trenton Downtown Capital District Master Plan (2008) and be incorporated into the upcoming Trenton 250 Master Plan. The plan starts by highlighting the commission’s purpose and goals, discussing the outreach and stakeholder consultation process and project guiding principles. 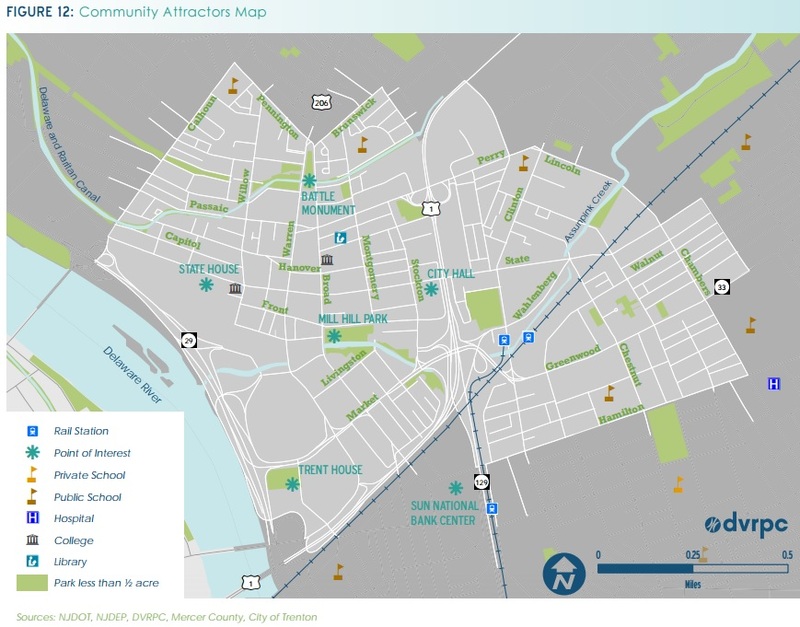 It continues with an overview of downtown Trenton’s existing conditions, demographics, land use, diverse ethnic and socioeconomic backgrounds, and existing transportation conditions including rail lines, bus service, trails, and bicycle lanes. 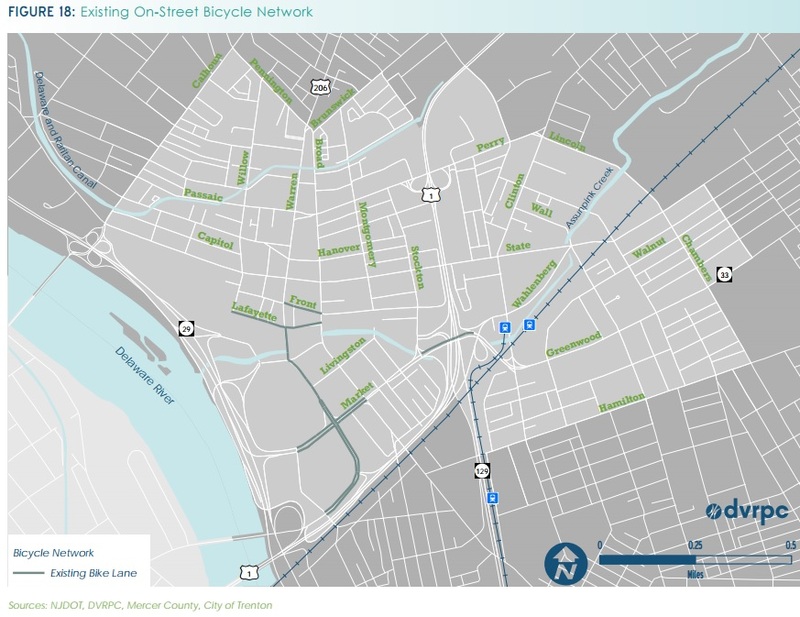 The plan identifies the areas with connectivity features supporting pedestrian activity and identifies bicycle corridors and pedestrian locations, traffic volumes, and the existing trail network. The plan follows with a set of recommendations for bicycle, pedestrian, and trail networks, and dives into design standards for signage, pavement markings, and other traffic control devices. The plan also references initiatives such as “8-80,” which states that streets should be designed for all people whether they are eight years old or 80 years old. 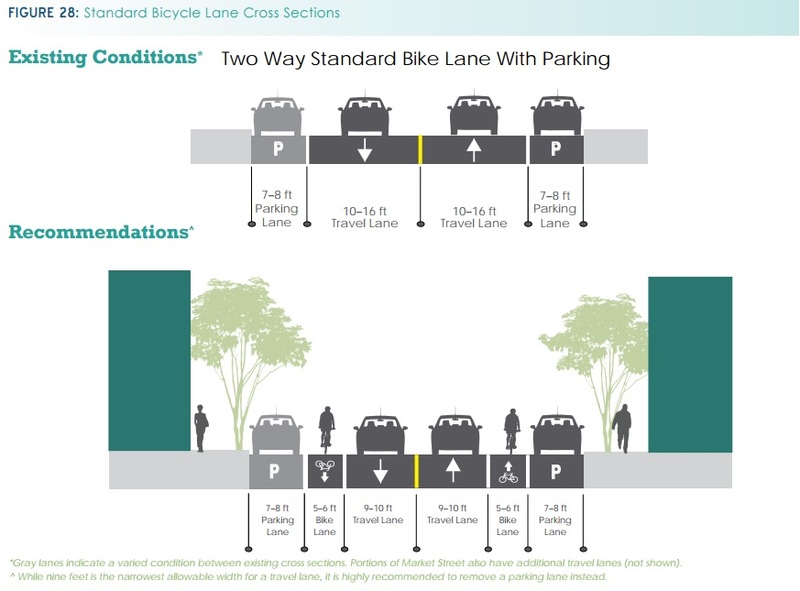 The bicycle recommendations section deals with increasing ridership in all directions, balancing the needs of all road users, adding exclusive bike lanes with buffers, improving signage, and providing access to attractions and services. The trails recommendations section includes complementing the on-road bicycle network and pedestrian street grid by providing greater connectivity and recreational opportunities and connecting users to work, school, parks, open space, and other transportation services. The sections on pedestrian and intersection recommendations call for interventions that can improve safety and access, including identification of priority locations for improvements, use of design best practices, and development of conceptual designs. The plan also lists potential funding streams and examples of estimated construction costs to provide guidance to policymakers and stakeholders. You can check out the plan for yourself here. The images below showcase products from the plan.